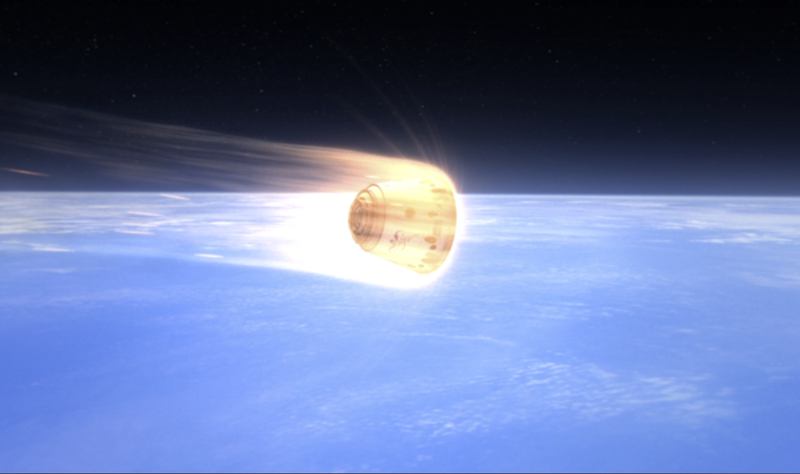 The final de-orbit burn occurred at 11:28 AM Phoenix time. The burn is scheduled to last 10 minutes and 40 seconds. The trunk is scheduled to be jettisoned at 11:41 (1841 UTC). 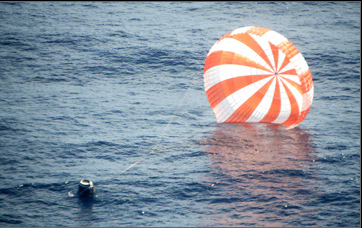 SpaceX Tweet: #Dragon’s three main parachutes have deployed (12:12 Phoenix time). There is a report that the ISS crew has seen three good chutes. Splashdown scheduled for 3 minutes from now. Congratulations to SpaceX on the their second successful mission to the International Space Station and return, and their first of twelve missions under their contract with NASA to keep the ISS supplied and operating. This entry was posted in Human Exploration, International Space Station, NASA, Spaceflight and tagged Dragon, International Space Station, ISS, NASA, SpaceX. Bookmark the permalink.